Our grid is comprised of four main elements: generators, transmission lines, substations and distribution lines. In the traditional power grid, high voltage electricity is generated at big power stations that are far away from consumers. Transmission lines are then responsible for transporting that electricity over long distances to substations closer to cities and towns. Substations are designed to lower the voltage so that the electrons are suitable for consumption. Finally, substations dispatch the safe electrons through distribution lines that deliver electricity to our homes, schools and businesses. Image: Basic Structure of the Traditional Electric System, retrieved from the Union of Concerned Scientists. Nowadays, generators such as solar panels and wind turbines, depending on their size, may require transmission lines but may also be connected directly to substations and consumers. In all cases, electrons generated from different sources are mixed together in the electricity grid. So how do we tell if an electron that is consumed in our Boston or Providence office came from a natural gas power plant in Maine, a wind turbine in Gloucester, Massachusetts, or solar panels in North Providence? Physically, we cannot tell. As much as we’d like for it to happen, renewable energy-generated electrons are not green and fossil fuel-generated electrons are not black. They’re all the same. If this is hard to grasp it may be easier to think of electrons as water molecules. There is no way of knowing whether a water molecule in a reservoir came from a river, rain or dumped by human activity. The electricity industry found the answer by creating a method to certify the attributes of generated power. One energy certificate is digitally created for every megawatt hour of electricity which includes said electrons’ generator description, location, fuel type, time of generation, emissions and eligibility (if any) to a renewable portfolio/ energy standard (RPS/ RES) . Renewable Energy Certificates (RECs) are specifically created when electricity is generated by solar panels, wind turbines, hydropower, anaerobic digesters (power made from cow manure, food waste, etc. ), and other types of renewable energy. More specifically as mentioned above, RECs identify if the electrons were generated by a facility that is a RPS/ RES qualified generation unit. If you want to learn more about the Massachusetts’ RPS or Rhode Island’s RES, feel free to read our blog post that explains both mandates in detail here. New England’s grid is managed by ISO New England. In conjunction with NEPOOL, a group made up from stakeholders from all six states, they manage the Generation Information System (GIS) which houses all REC information. 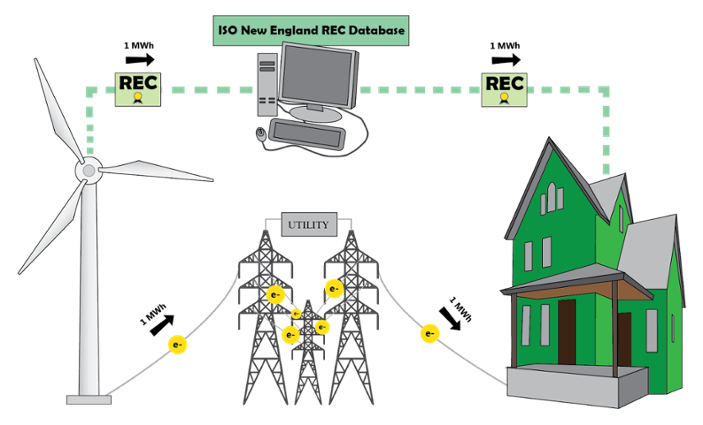 GIS is used to track which fuel types are being used to supply New England’s electricity, and most importantly, track compliance to states’ RPS/ RES. It also helps us avoid double counting. Whoever is the final customer of a REC and retires it in GIS (the industry’s term for ‘use’) is the only person or entity allowed to say that that one megawatt of their electricity came from renewable energy. No one else can make that claim, even if they are the ones who are buying that electricity through a power purchase agreement with, let’s say, a wind turbine, but are not buying the RECs. This concept even applies to people who put solar on their roof and sell their RECs. If you put solar on your roof, you’re a hero because you produce clean energy. But whoever buys your RECs is a hero of consumption. It is through GIS that we know exactly how many megawatt hours came from fossil fuels and renewable energy in any given year. And since RPS and RES compliance increases every year in Massachusetts and Rhode Island respectively, the Massachusetts Department of Energy Resources and Rhode Island’s Public Utilities Commission can physically see the displacement of fossil fuel-generated electricity by renewable energy through the amount of RECs being retired in GIS compared to non-renewables. Every year the demand for renewables goes up and the amount of fossil fuel-generated electricity, especially from natural gas (i.e. fracked methane), goes down. This is why Green Energy Consumers Alliance focuses on buying and retiring RECs that qualify for the Massachusetts "Class I" and Rhode Island “New" designation on behalf of our members. Whatever RECs we keep away from utilities are RECs that may not be used to satisfy the RPS or RES and contribute to the displacement of fossil fuels. 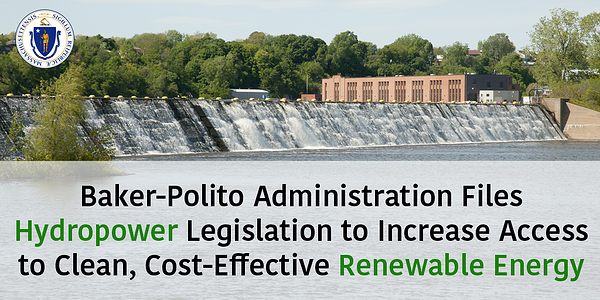 Massachusetts communities pursuing Green Municipal Aggregation are also moving the needle forward by using their buying power to voluntarily purchase and retire Class I RECs. By increasing demand, these communities are turning the spigot up on renewables and down on fossil fuels faster than required by state law. This is why it is important for all voluntary purchases of renewable energy in Massachusetts, Rhode Island, and all of New England to invest in RECs that qualify for their respective state’s RPS/ RES. First, they give us the ability to specify where and from what type of resource we want our electricity to come from. This allows us to focus our efforts on local resources which helps create local jobs and stimulate our local economy. And second, the purchase of RPS/RES eligible RECs reduces the need for fossil fuel-generated electricity by incentivizing renewable energy. This increases the amount of pollution-free and greenhouse gas emission-free electricity in our New England grid, helping us achieve our climate action goals.